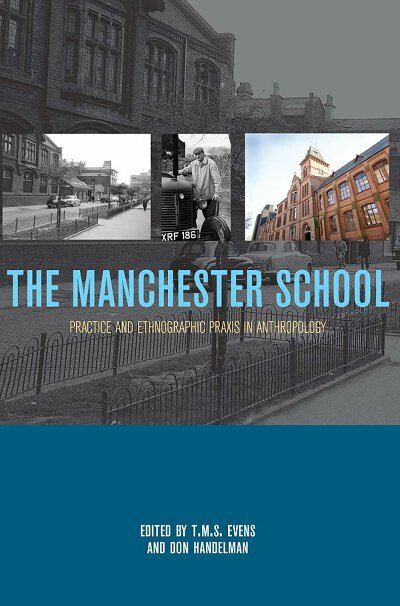 Pioneered by Max Gluckman to demonstrate the way in which social practice and structure together constitute and are themselves constituted by the situational flow of social life, the extended case method became diagnostic of the Manchester School of Social Anthropology. Anticipating practice theory, and implicitly politically charged, it was developed as a tool to bring into account what orthodox structural functionalism was ill-equipped to address, namely, problems such as change, conflict, deviance, and individual choice. Edited by two students of Gluckman, the volume comprises reprinted pieces by Gluckman and his colleague Clyde Mitchell, a Coda by Mitchell’s student, Bruce Kapferer, contributions by Gluckman’s students and/or friends and colleagues, including Ronnie Frankenberg, Kapferer, Evens, Handelman, and Sally Falk Moore, as well as a number of contributions from other practitioners of the extended case. Apart from the reprinted pieces by Gluckman and Mitchell, all the contributions have been written for this volume. These essays, historical, theoretical, and ethnographical, serve to highlight and critically examine the fundamental features of the extended-case method, in order to advance its substantial, continuing merits. T. M. S. (Terry) Evens, Professor of Anthropology at the University of North Carolina at Chapel Hill, received his Ph.D. in 1971 at Manchester University. He is author of Two Kinds of Rationality: Kibbutz Democracy and Generational Conflict (University of Minnesota Press, 1995), and co-editor of Transcendence in Society: Case Studies (JAI Press, 1990). His work reflects an abiding interest in the philosophical underpinnings of anthropology. Don Handelman, Sarah Allan Shaine Professor Emeritus of Anthropology at The Hebrew University of Jerusalem, received his Ph.D. from the University of Manchester. He has published Models and Mirrors: Towards an Anthropology of Public Events (Berghahn Books, 1998) and Nationalism and the Israeli State: Bureaucratic Logic in Public Events (Berg 2004). He is the coauthor with David Shulman of Siva in the Forest of Pines: An Essay on Sorcery and Self-Knowledge (Oxford, 2004), and the coeditor with Galina Lindquist of Ritual in Its Own Right: Exploring the Dynamics of Transformation (Berghahn Books, 2004). Chapter 11. The Vindication of Chaka Zulu: Retreat into the Enchantment of the Past C.